Welcome to VWM Technologies we are a long established machine tool supplier to the Aerospace, engineering and composite industries. All our machines are designed for efficiency high performance and reliability we tailor each machine to the individual requirements of the application. 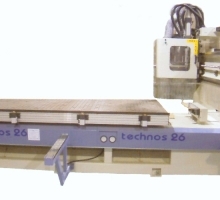 We are appointed main agents for Top brands such as APEC, Vision Wide, Multiax and Technos CNC machinery, we also offer a bespoke design and build service for specialised wet CNC applications. VWM Technology also offer excellent after sales service giving complete support on the machine with software and service contracts to ensure optimum performance is met by the machine supplied.